In this connected world, we depend on Information Technology to be the source of business development, productivity and one that makes our business model stand out and make us operational. We then ask ourselves, how do we keep our software and devices intact when it comes to ever growing viruses, worms and trojan hoaxes on the internet? Short answer is that you can never be 100% secure as long as you are connected to the internet but you can take some steps to keep the attack vectors limited. Below we will discuss what you can do to protect your devices that will assist in your cyber security plan. There has been far too many attacks on software/devices that have out-of-date virus definitions, no patch management, no firmware upgrades and this is exactly what the hackers go after when selecting vector attacks. The entire purpose of the updates and virus definitions is to protect you from just these attack vectors hence, take the action today and spend time protecting your network by keeping it up-to-date. Keeping your software and devices up to date should be the top priority in your cyber security plan. Do you have disaster recovery or disaster avoidance in your plan? A lot of businesses are of the mindset that if we have never had a disaster why need disaster recovery or disaster avoidance. And it is the very same businesses at the time of the disaster then say “only if we have proper backups setup,” so we can do such and such but by that time the conversation is too late. Hence, take the time and setup proper backups as well as testing it by recovering files to make sure that backups are working on regular basis. Are your laptops, servers, desktops and your overall network devices being proactively monitored? If the answer to this question is no, then you must revisit this area! With your network always connected to the internet, it is necessary to have your network monitored. The recent wannacry virus took affected over 116 countries with over 250,000 devices. It costs companies a lot of money after the fact to have the viruses, trojans or hoaxes removed than to proactively monitor devices and have a cyber security plan. 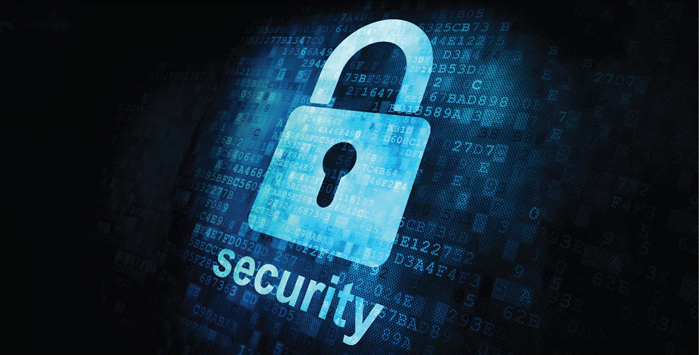 Another important aspect of your cyber security plan is access control. Just like government agencies protect their physical premises utilizing barbed fences, physical security guards and security cameras, you should virtually have access control in place. A good rule of thumb is to have multi-factor access control in place: something you have and something you know. This is part of the reason why most agencies go with smart card as a measure for having access control. Smart card is something you have and its PIN is something you know. There are many areas that one must cover in their cyber security plan hence, it is critical to have a great Managed IT services provider who can manage this area of your environment. Call AMS Networks today at 703-662-5800 or fill out the contact form so one of our engineers can help guide you formulating your cyber security plan.